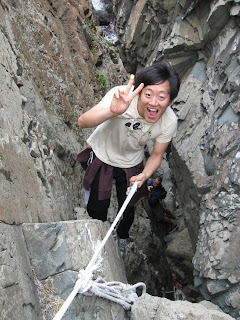 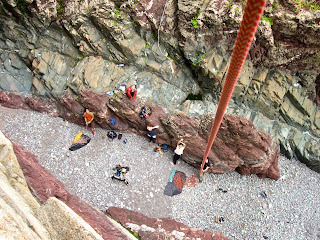 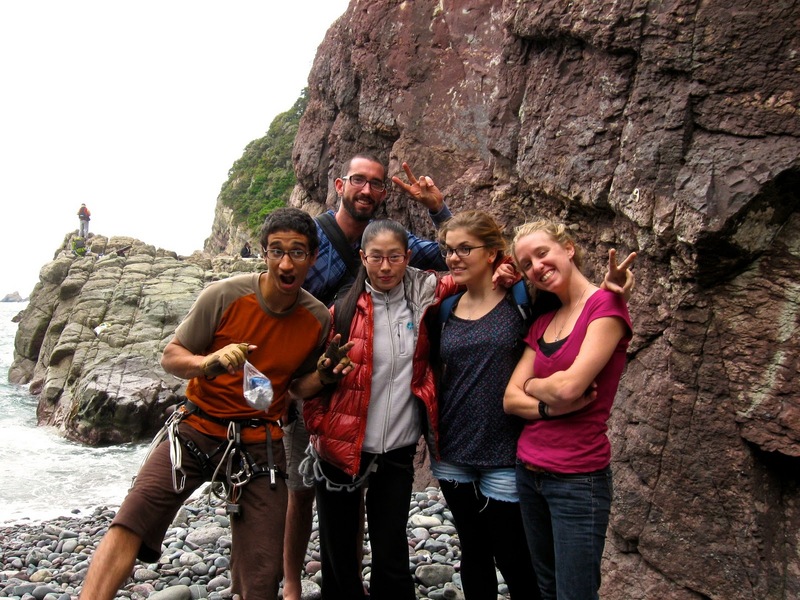 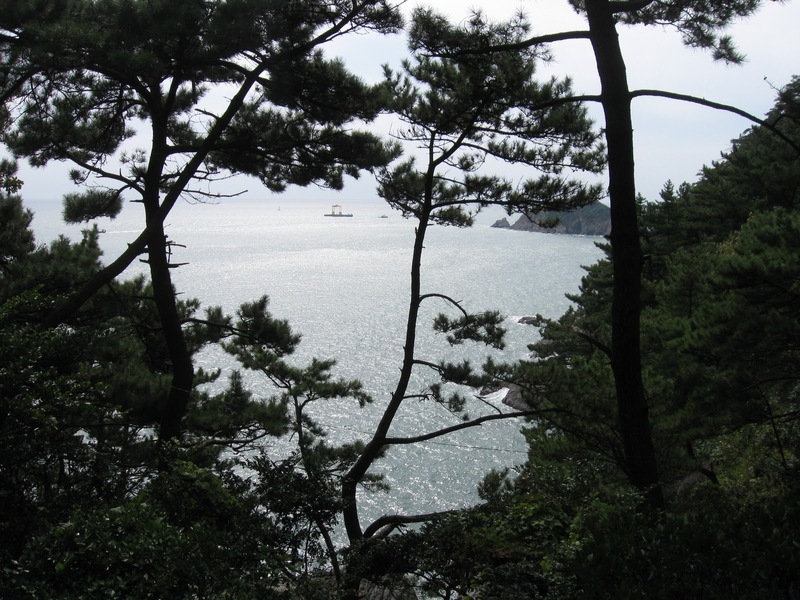 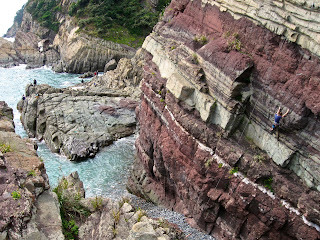 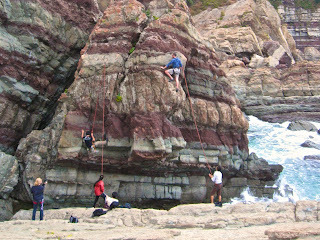 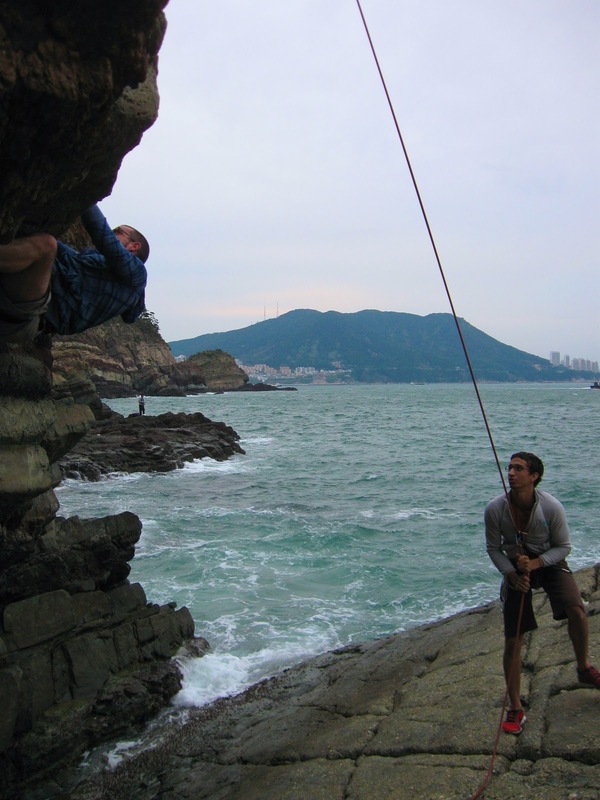 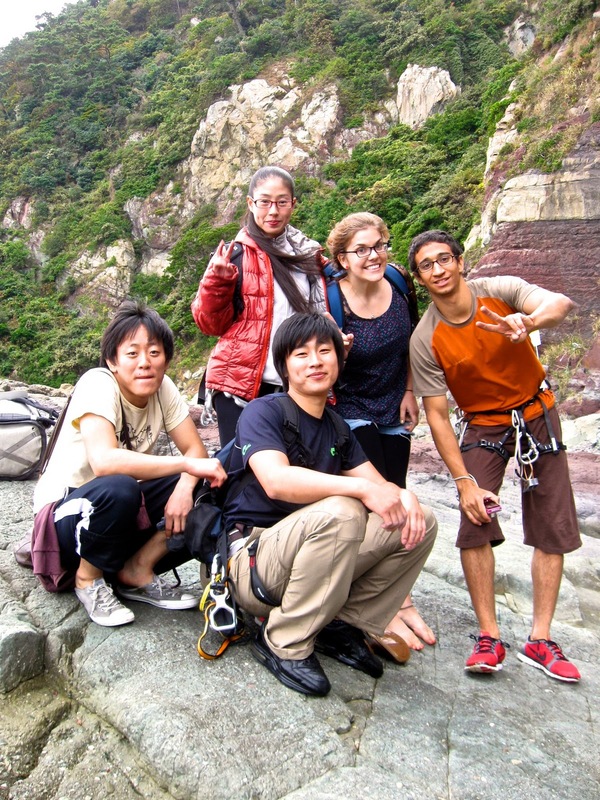 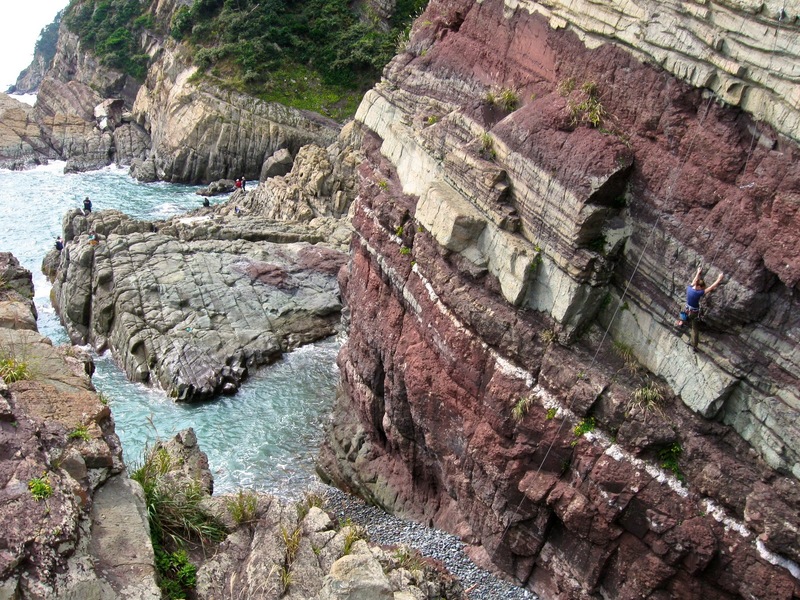 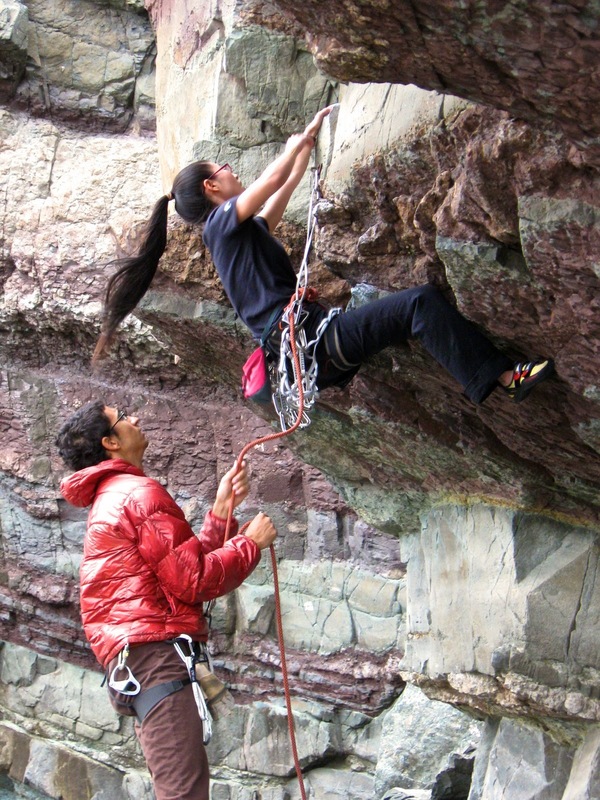 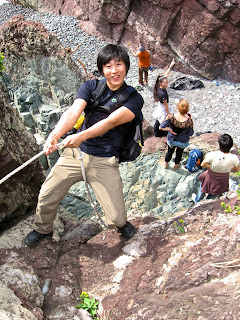 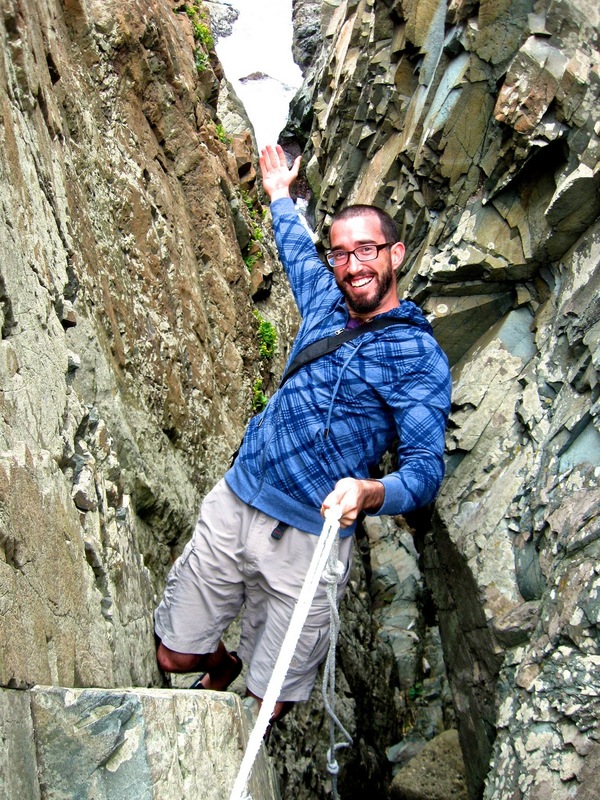 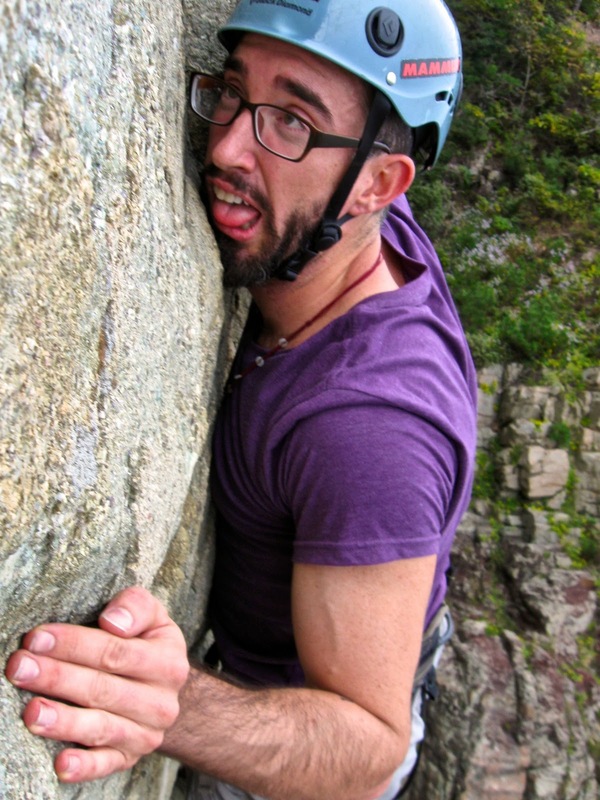 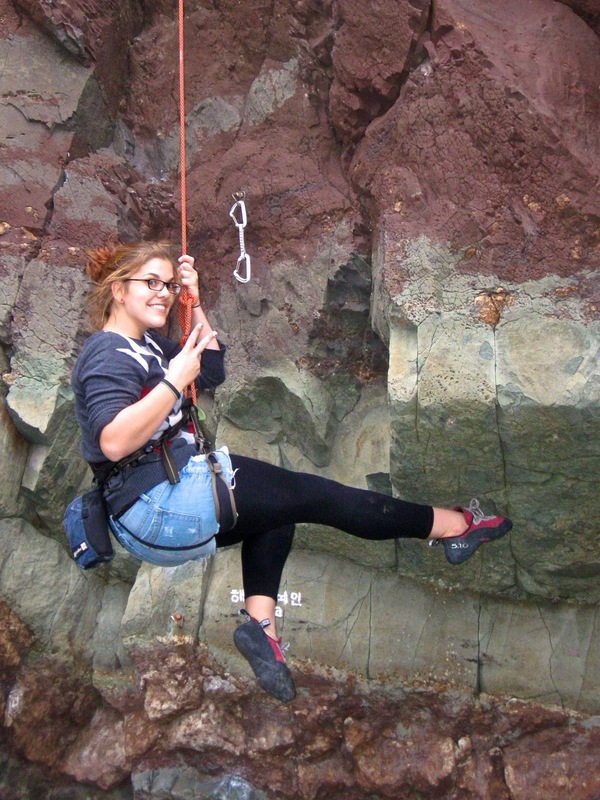 On Saturday a group of climbers headed to Busan to hit the cliffs in Amnam Park. 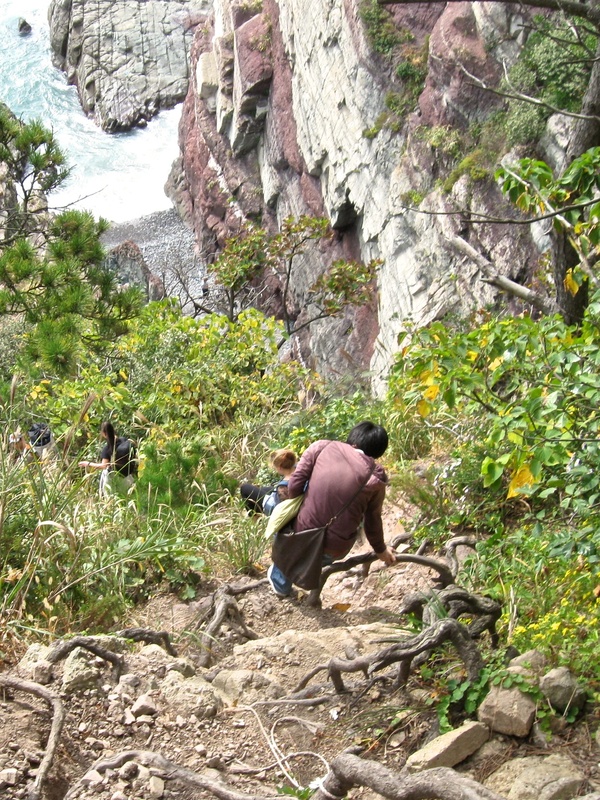 It's a beautiful area of multi-layered amber red rock heavily forested with Asian evergreens and walking paths that hug the rugged coastline. 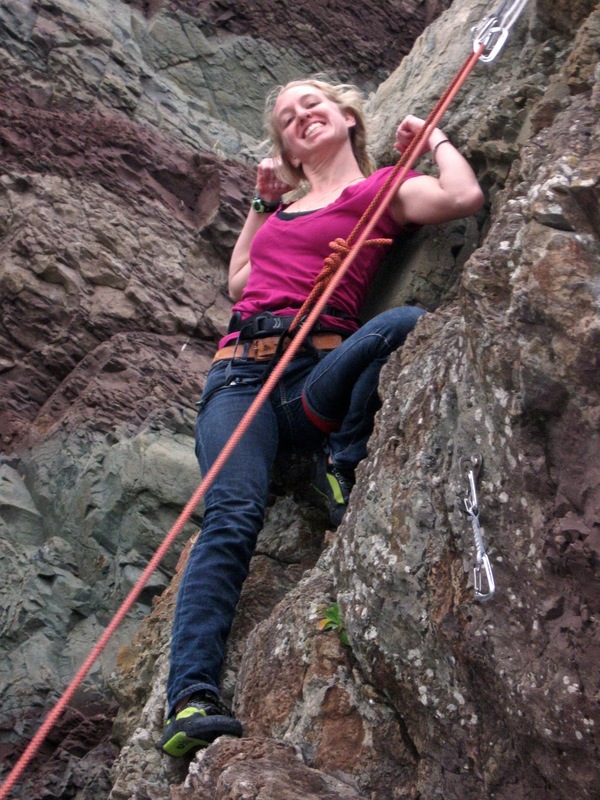 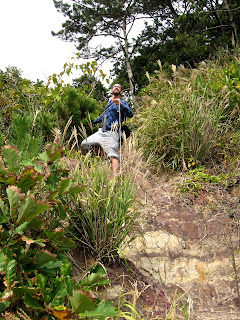 Many sections of cliff are bolted and graded for climbing, and we scrambled down the steep hillside to the first climbing spot in a slender ravine where a couple of girls were already at work/play. Fishermen cast their lines from an outcropping in the ocean and the waves lapped rhythmically at the pebbled shoreline. 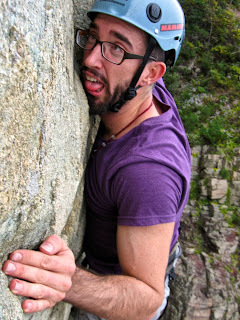 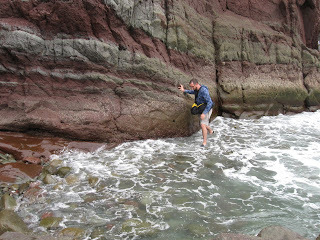 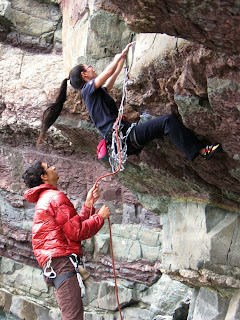 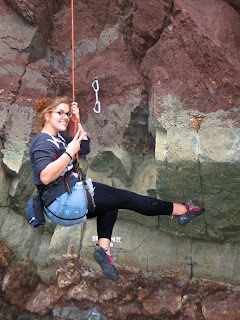 We spent a couple of hours on two of the routes, where I tore up my hands on the coarse stone. 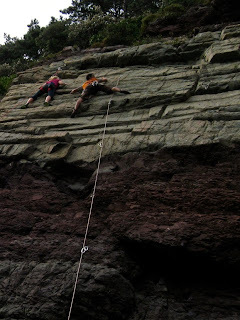 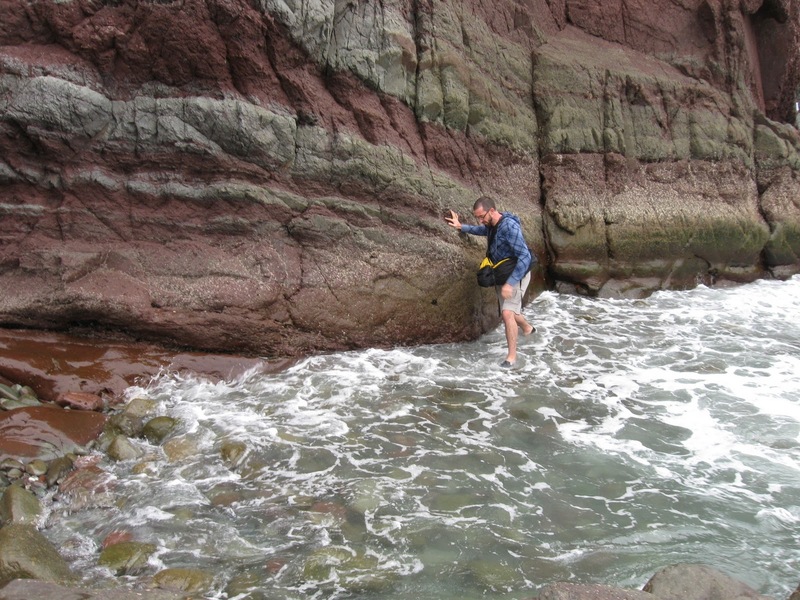 In the afternoon we hiked and rappelled and scrambled to another rock wall called "The Shark", I believe, which jutted up from a large slab that stuck out into the turquoise water. It contained two smaller routes ("The beach's girl" and "Jaws") with overhangs that proved quite difficult (for me, anyway) but which were a lot of fun trying to figure out. On the way back to Pohang we stopped near Busan University for some Korean-style Mexican food at Taco's Family, one of the few places I've found in Korea that actually serves decent enchiladas. Check here for a video of the park and climbing.